The latest installment is especially near and dear to us at DNAnexus: “Ten Simple Rules for Reproducible Computational Research,” written by Geir Kjetil Sandve, Anton Nekrutenko, James Taylor, and Eivind Hovig. (And edited by Bourne, of course.) The writers begin with the premise that there is a growing need in the community for standards around reproducibility in research, noting that negative trends in paper retractions, clinical trial failures, and papers omitting necessary experimental details have been getting more attention lately. What really stood out for us was that all of these guidelines are addressed by best practices in cloud computing. For example, when we built our new platform, we implemented strict procedures to ensure auditability of data — the system automatically tracks what you did to get a result, ensures version control, serves as an archive of the exact analytical process you used, and stores the raw data underlying analyses. Utilizing a cloud-based pipeline also offers true reproducibility because you can always perform the same analysis again (using the specific version of your pipeline) or make your pipeline publicly accessible, granting anyone else the ability to rerun the analysis. 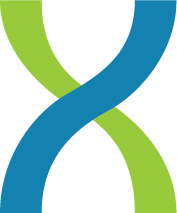 Be sure to check out all 10 rules, and feel free to take a tour of the DNAnexus platform to see how it can help you achieve reproducibility in your own computational research. Next Next: Bring on the New Reference Genome!